White cotton sheeting rags are made from cotton rich – high quality laundry grade sheeting A great choice for manufacturers, service engineers, printers, or anyone looking for a low lint wiper. 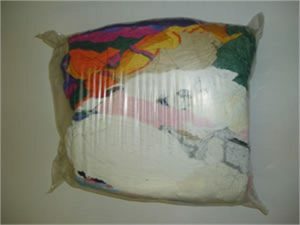 Coloured cotton T-shirt rags. Highly absorbent.